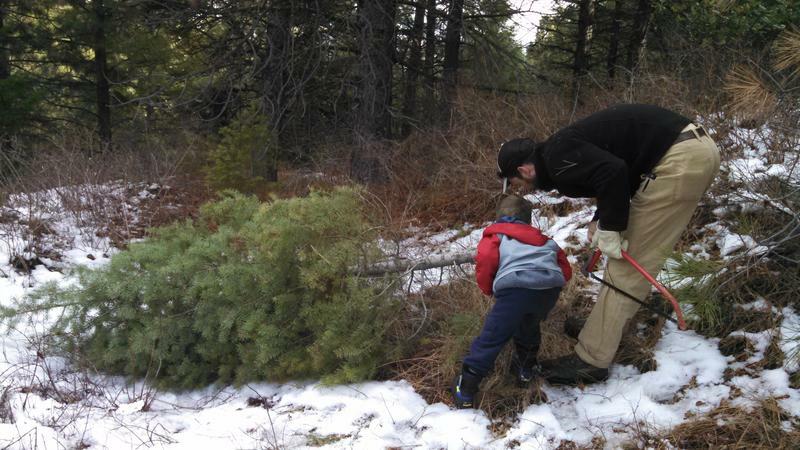 Families trek to the forest every year to harvest their own Christmas tree. Drought, wildfires and fewer people growing them are all contributing to a lack of trees for sale in the Northwest. But the Boise and Payette National Forests sell $10 permits each year to anyone who wants to head into the backcountry for their tree. Venetia Gempler is with the Boise National Forest and says it’s an important event for many families who come back year after year. “This is another opportunity for them to create a family tradition and go out and cut their own tree,” Gempler says. There are some rules, including not cutting too close to the road or any tree over 12 feet tall. And she says don’t cut down trees in parts of the forest that have been hit by wildfire. “We really need that stock to help with future generations, that natural regeneration, so in those burned areas we need every green tree to survive out there,” says Gempler. Gempler also warns snow comes early in the forest, so be prepared for winter driving conditions. Tree permits go on sale at local vendors November 18 and forest service offices November 20 and are valid through Christmas. Fourth-grade students who are part of a special park program can get a free permit for a tree. It might not be Halloween yet, but according to the Idaho Statesman – it’s probably time to make your Christmas tree plans. 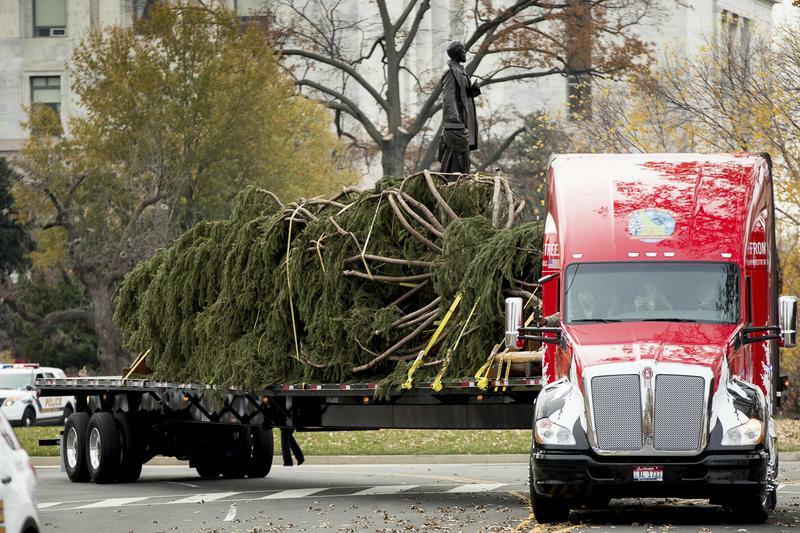 The Christmas tree destined for the nation's capital is set to begin a cross-country road trip. 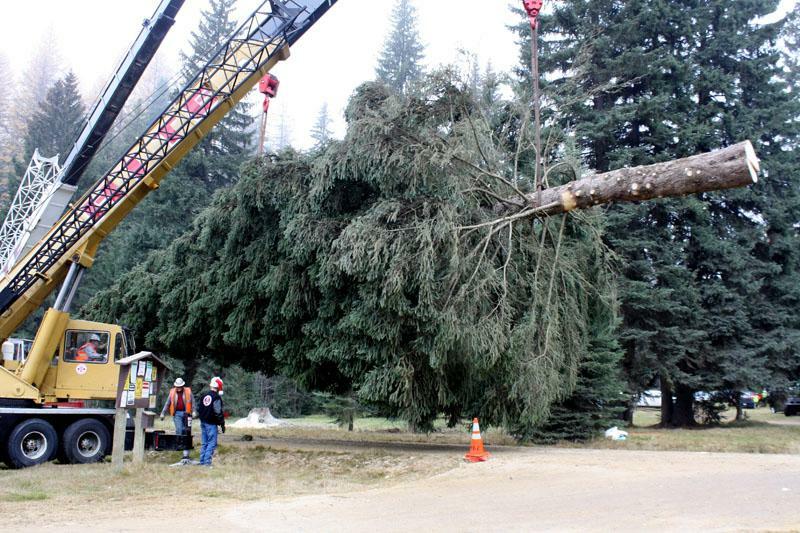 But getting an 80-foot tree out of a national forest isn't quite like going to a U-cut. This year's Capitol Tree is a carefully chosen spruce from Washington's Colville National Forest. And this is no logging operation. For starters, this year's tree is on Kalispel Tribe ancestral land. So on the chilly morning of the cutting ceremony, members of the tribe performed a blessing.